Where heart attack is concerned, people think that the person will catch his chest, have a look of pain on his face and then collapse. While this could be true for men, in women heart symptoms manifest differently. You will be surprised to learn that in nearly half of the female patients there is no symptom of chest pain when they have a heart attack. In fact, the symptoms of heart attack in women are subtler than in men and this is the reason why the symptoms get mistaken for some other health issue. That is why it is important to know the early heart attack symptoms in women. It will allow for early medical intervention, which could save the woman's life. As per the National Institutes of Health, women tend to show the early symptoms of heart attack much before men do. Thirty days before the attack, most women will complain of symptoms like feeling tired for no reason whatsoever, experiencing shortness of breath and suffering from disturbed sleep. 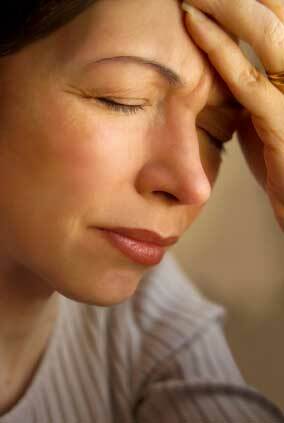 As these symptoms are rather vague, most of the women put them as anxiety, mild flu or related to aging. Hence, they do not visit a doctor to get themselves checked. It is only later on, after suffering from a heart attack, that the women realize that they had a warning of the impending attack. Nearly forty-three percent women do not experience any chest pain when they are having the attack. However, during the attack, they do complain of cold sweat, sudden feeling of tiredness, extremely fast pulse rate, pain in the stomach, anxiety, nausea with vomiting, swelling in the ankles and feet, pain along the line of the bra in the back and pain in the lower jaw. As a woman, if you are suffering from any of the aforementioned symptoms, make sure that you rush to the emergency immediately. A heart attack can occur at any age. However, it is a certain age group that is at a higher risk. The older generation is more prone to getting a heart attack compared to the younger generation. Also, when it comes to heart attacks, diet, weight and fitness play a crucial role immaterial what the age of the person is. More..